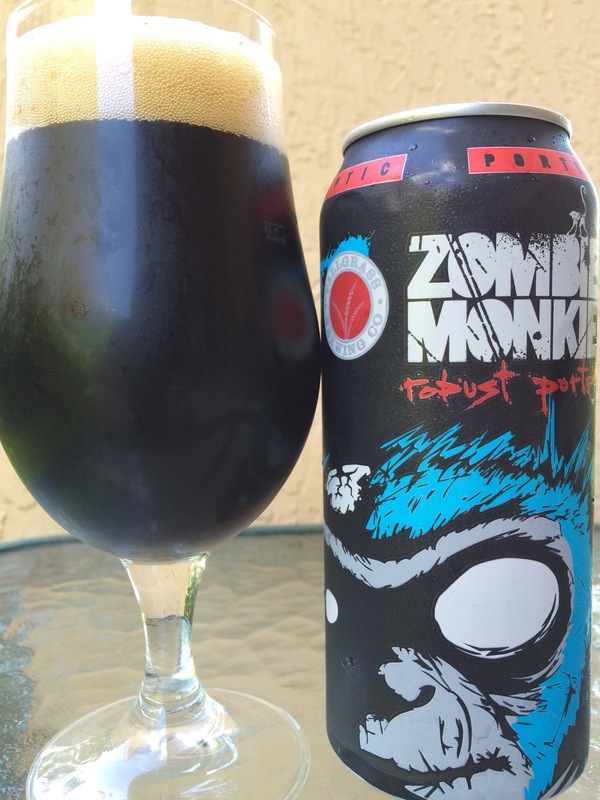 Zombie Monkey Robust Porter? Hell Yeah! Tallgrass Brewing recently sent me a pounder can of this beer to check out. 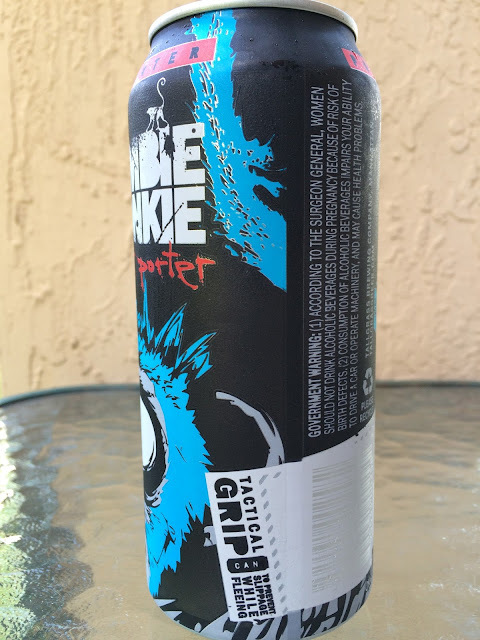 I must say the can art is really fun. Before even getting close up and checking out the art and catch phrases, you will feel the "Tactical Grip" texture on the can, great when "Preventing Slippage While Fleeing" (from the Zombie Monkeys). 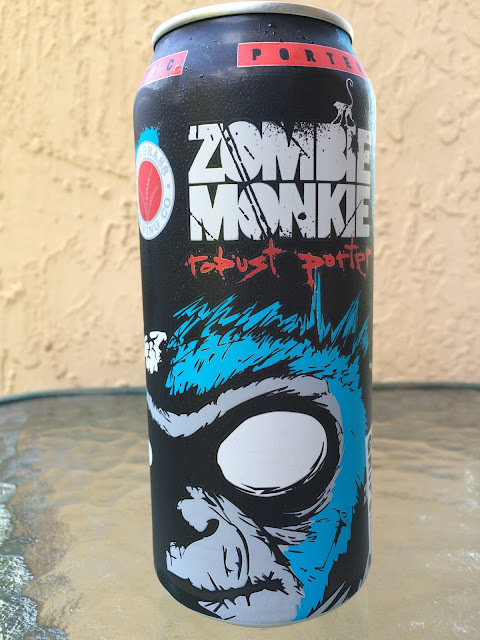 The Zombie Monkey is in your face, kind of surreal. Glowing white eyes and exposed brain along with a blank stare... 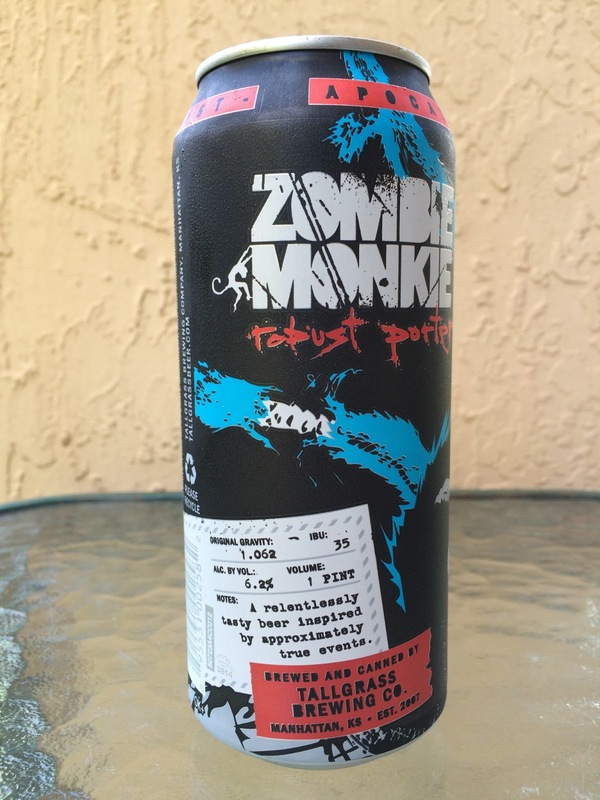 The brewery provided stats as well: 6.2% alcohol, 35 IBU, and Notes stating "a relentlessly tasty beer inspired by approximately true events." Sweet chocolate, faint roasted malty aroma. Sweet chocolate, very creamy. Roasted coffee flavors lead all the way to a light char. Raisin and dark fruit nuances. I'd say that this beer is very similar to Buffalo Sweat, though I did like this one better. Check it out.